The representatives of Ukraine and the European Union concluded a preliminary agreement, which will allow Kiev to increase the duty-free export of chicken meat to EU member states. Brussels and Kiev made a preliminary agreement that will allow Ukraine to increase its duty-free export of chicken breasts to the EU, despite complaints from (European - ed.) 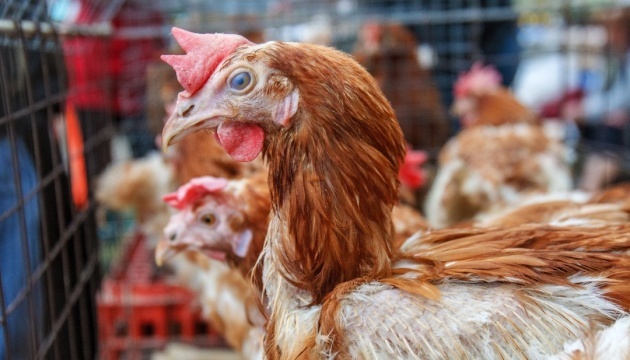 Farmers that Ukrainian poultry farming is preventing them through tricky legal loopholes. The official representative of the European Commission has already confirmed the news of the preliminary agreement, which will now be sent for approval to the EU Council and the European Parliament. It is noted that the dispute itself is connected with the export of Ukraine chicken fillet to the EU. For example, European farmers were outraged by the fact that the Myronivsky Hliboprodukt company, a businessman Yuri Kosyuk, found a way to circumvent the severe restrictions on the import of chicken fillet into EU member states. The company sold boneless chicken to European plants without paying any customs duties. At the same time, in European factories, bone was cut off and sold meat as chicken fillet. Thus, the Ukrainian company did not pay customs duties and at the same time increased its chicken exports to the EU. In response, the European Commission last year informed Ukraine that this practice is contrary to the spirit of the trade agreement between Kiev and Brussels. After the resumption of negotiations, the parties found a compromise solution, according to which, according to the interlocutors, the EU will increase the import quota for Ukrainian chicken breast at least twice. Now this quota reaches 20 thousand tons per year. An official close to Kiev reported that this quota would be replaced by 50 thousand tons. However, according to the European diplomat, the quota of 20 thousand tons will be supplemented by another 50 thousand tons, and in general will reach 70 thousand tons per year. Representatives of the industry in Brussels also noted that they had heard exactly the figure of 70 thousand tons. Representatives of the Ukrainian government in Brussels declined to comment on the figures, because the negotiation process is not yet complete.